Growth in Africa was remarkable between 1999 and 2008, but not inclusive. Then GDP fell — from 4.9% in 2008 to 1.6% in 2009. The state — a key provider of patronage — is overextended in the African economy. The global financial crisis originated in advanced countries, but its effects were particularly intense in Africa. Africa relies on natural endowments, which are climate-sensitive. An increase in climate-related funding is an absolute necessity. Many countries in sub-Saharan Africa have battled with the vexing question of how to grow their economies sustainably and develop their people since independence. There have been many initiatives in the past, some home-grown, others representing a mixture of home-grown ideas and externally-driven initiatives. <!-strCallout1->The period between 1999 and 2008 brought significant economic revival to the continent, along with the promise that Africa’s poor will at last be rescued from marginalization. This revival was largely due to political liberalization, macro- and micro-economic reforms, as well as a commodity boom that has mainly been driven by Asia’s emerging economies. But that wave of growth did not bring about a significant impact in reducing income inequalities and poverty, in contrast to what has occurred in China and other parts of Asia. In other words, it was remarkable growth — but it was not inclusive growth. The African Development Bank views growth as inclusive “when it creates economic opportunities — the pace of growth — while ensuring equal access to them — the pattern of growth.” Both the pace and the pattern of growth are important factors in ensuring meaningful change in the quality of life. The global financial crisis that unfolded in full force in 2008 had an adverse impact on the African continent. Even though the crisis had its origins in advanced industrial countries, the effects on the continent were particularly intense given Africa’s institutional vulnerabilities. These effects included a slowing down of trade, increases in food and fuel prices (which had been falling in since late 2006), weakening demand for exports in goods and services, decrease in remittances, as well as reduced private capital inflows. In turn, employment conditions became dire as trade finance seized up and production was scaled back. As an indication of how hard the continent was hit, GDP growth in 2009 was just 1.6% — a far cry from a year earlier when the continent grew by 4.9%. It also became clear that most African countries would miss the Millennium Development Goal target of halving poverty by 2015. 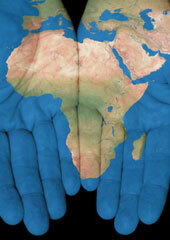 Despite these setbacks, there is a set of common themes that can help map out key developmental priorities for Africa. These themes could shape an agenda that offers directions for change in the future. <!-strCallout2->One of the core challenges is Africa’s dependence on a narrow range of agricultural products and natural resources. This is a perennial challenge that was only seemingly ameliorated by the rise of emerging economies elsewhere and their huge appetite for Africa’s resources. The global financial crisis, which took Africa by surprise, laid bare the age-old problem of Africa’s lack of product diversification and its heavy reliance on natural endowments rather than competitiveness factors. In addition to diversifying its economy, Africa needs to diversify its export markets rather than depending on just a few destinations. Declining capital inflows have underscored the importance of domestic resource mobilization for the continent in order to finance growth and employment projects on its own. The confluence of events (i.e., the financial crisis, food crisis, energy crisis and concerns about climate change), while not unique to the African continent, could not be more inauspicious for it. Advanced industrial countries have to battle similar risks, including severe economic imbalances, chronic fiscal challenges, environmental risks and rising social inequality. But in Africa, these crises are not episodic. They are a common feature, and they are intractable. On the other hand, this renders it possible to develop a shared language and common thinking around ways to frame new terms of inclusive growth and development. This is all the more so as all of Africa is vulnerable to climate variability and change, with serious implications for economic and social development. There are many countries on the continent that are extremely susceptible to droughts, floods and other severe weather conditions. Africa’s vulnerability regarding climate change is made worse by the fact that a number of countries rely on agriculture, forestry and fisheries — all industries that are climate sensitive. The 2010 Economic Commission on Africa Report found that, as a result of climate change, around 250 million people in Africa could be exposed to water stress by 2020. This figure is expected to rise to between 350 and 600 million by 2050, especially affecting North and Southern Africa. <!-strCallout3->If these projections materialize, Africa would sustain far more severe economic challenges than it has ever experienced in the past. These changes would especially affect agriculture and food security. Adaption to climate change in Africa is expected to cost between 5% and 10% of the entire continent’s GDP, with actual costs averaging around $75-90 billion from 2010 to 2050, according to the World Bank. Given these precarious circumstances, a significant increase in climate-related funding has become an absolute necessity for Africa. So is the need to transfer technology to facilitate the decarbonization of its economy, especially in countries that are major contributors to greenhouse gas emissions. the construction of a developmental state to enhance economic transformation. While African countries have improved their economic management through stabilizing their macroeconomic environments and market-based economic reforms, the rhetoric of statism is gaining currency. The argument is that the state is in the best position to drive economic development in Africa. However, it would be unfortunate if this approach were based on a romanticized view of the state. Despite the progress that has been made, the continuing reality is that the weaknesses of the state and the absence of solid institutions will make managing economic change difficult. The infrastructure of governance, and the kind of state-society relationships that exist in large parts of the continent, militate against the emergence of an accountable and capable state that can successfully drive economic development in an inclusive sense. The key point they make is that the notions of governance understood through Western modernity have weak purchase in much of Africa. This, in their view, is due to the existence of clientelistic pattern of state-society relations, which is sustained through patronage and weakens the impulse to improve governance. Further, the state is overextended in the economy, since it also is a critical well for drawing patronage resources. Ultimately, it is important to note that the problem of African countries is not that there is insufficient involvement of the state in the economy, but that there has not been enough private-sector development. It is also not necessarily the case that the main challenge is industrialization, but more the underutilization of arable land in the continent. Africa will need to resolve the divergent views regarding the best course to take to address its development challenges and to achieve its objectives of sustainable and inclusive growth. There are those who are keen to revive statism and industrialization, pointing to the example of China and Southeast Asia as paradigms of success worth emulating. Other important African institutions place an emphasis on a different set of priorities, in particular agricultural development as a catalyst to power Africa’s economic resurgence. There is, however, a solid ground of consensus emerging in Africa that the way forward will require capable and sound political and economic leadership, building structural and human capabilities, strengthening safety nets, empowering citizens with quality education, building productive market-state relationships to promote private-sector growth and to facilitate resource mobilization towards development. 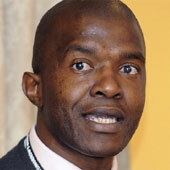 Mzukisi Qobo is a professor of international political economy at the University of Pretoria.